The award-winning river cruise line Uniworld offers itineraries in spectacular destinations throughout Europe, Russia, and Asia. 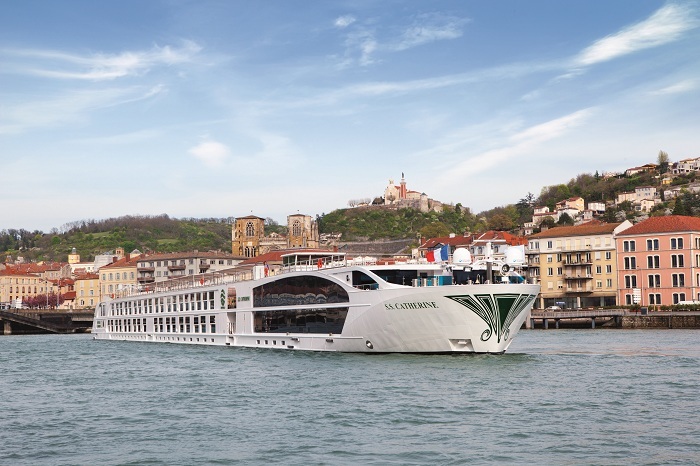 The company’s European fleet features luxurious ships with an average capacity of 130 guests, the highest staff-to-guest ratio in the river cruise industry, enticing shore excursions, world-class gourmet cuisine, impeccable hospitality, and numerous other all-inclusive benefits. Here Breaking Travel News chats with UK managing director Kathryn Beadle about the brand’s agenda for the year ahead. Breaking Travel News: It has been a very successful year for Uniworld. I wondered if we might begin today with a brief overview of the company and what it is you offer to global hospitality? Kathryn Beadle: Uniworld was established in the UK nearly two years ago, in January 2014, so we are coming up to our second anniversary. As an organisation, however, it has been around for nearly 40 years, and owned by The Travel Corporation for about 14. We are a big river cruise company in our sector – the luxury, top end organisation. We own the majority of our ships here in Europe and they are very high end, boutique, luxury floating hotels. We work with our sister company, Red Carnation, and we operate along very similar lines: it is all about the service, the ‘points of difference’. Our aim is not to be ‘vanilla’, or as our American colleagues would say, ‘cookie cutter’. We make no apologies for the fact that we have very rich, very lavish furnishings. We feel that if people are going on holiday, they need to experience something a little bit different to what they would experience at home. We try and do things a little bit differently. BTN: Do you feel this separates you from your competitors? KB: We focus on the areas that a very important to people when they are booking a holiday: the food, the service, and on the experience. People who go on a river cruise are very much looking to immerse themselves in a destination. 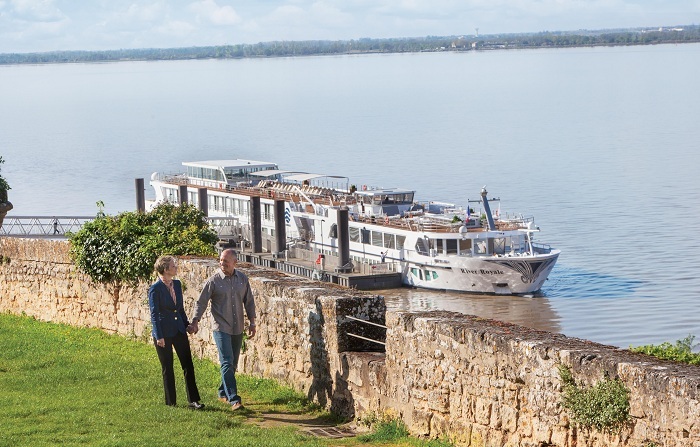 With a river cruise you are going right through the heart of a destination. So, for instance, in Venice, our customers will go to St Mark’s Basilica before it actually opens and the crowds arrive. When you are on the Mekong River, we will take you to meet local families, so that you are not just seeing the tourist sites, but are getting an understanding of the culture and environment that you are in. BTN: You have been expanding this year, adding new destinations? KB: We recently launched our India programme, which has been incredibly popular. It is a very small ship, it only holds 45, but it gives our guests, especially those returning to us, repeat guests, another destination of choice. It is slightly edgy, a real experience, but with a sort of safety net, of doing it while there is somebody always on hand to help. In India we go Mother Teresa’s orphanages, we do things that are very, very different: it is special and memory enhancing for our guests, offering real opportunities. BTN: How about looking forward to 2017 – you are welcoming a new ship in Paris? KB: Of course we are always looking at what is the next thing. So for next year we are launching a new ship, in Paris, the Joie de Vivre. We did not hesitate very long to move ahead with this ship – with the situation in Paris and France, there has been a little nervousness in travelling there among North Americans. Because France is such a big destination for The Travel Corporation’s brands, we have supported them and they have supported us, so we felt that it was important to continue to offer the destination. We are also very visible in doing so, showing people, the competition, that we are still very focused on that market. 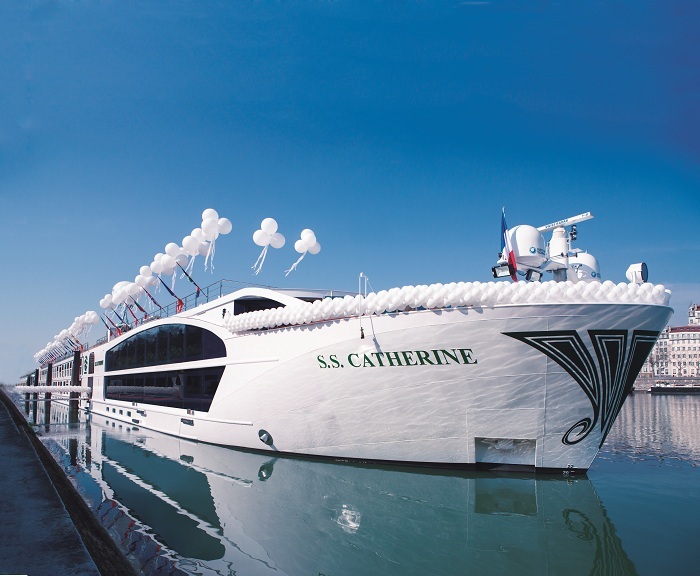 The Joie de Vivre is not about being the biggest - it will only have a capacity of 128 passengers, whereas our previous launch, the SS Maria Theresa, had a capacity of 158, so it is smaller. The reason for this is so that the ship can dock right in the centre of Paris. All our ships are different, reflective of the itineraries they operate in. The vessel will be styled in a mid-twentieth century finish, a lot of polished wood, with a yacht experience. There will be a number of different dining options, where guests can come to the markets to select the food and come back to the ship for a ‘chef’s table’ experience, where guests can either do the cooking themselves, or they can sit and have a glass of wine and let the chefs prepare the food. This is all included in the fully inclusive price. Golf, too, will be on offer. We are all so conscience about health, fitness and diet, and we take this seriously. We have personal trainers on board, bikes, all on offer. BTN: Is that perhaps typical of the demographics you welcome on board? Is it an older crowd? However, the big difference with river cruising to ocean cruising, if there is a comparison there, is that you have to have an element of fitness to go on a river cruise. On a river cruise, because of the nature of where you are stopping, you have to be slightly agile. We also offer a choice of speed on excursions, gentle walking for those who want to take things at a leisurely pace, or a more adventurous walking trips. BTN: We briefly mentioned Paris earlier and the terror attacks there. I wondered, how flexible is Uniworld in responding to things like this? Or are your itinerates booked well in advance? KB: We are flexible in how we can respond. However, as The Travel Corporation, we take a much longer-term view. Most of our partners we have worked with, not for the past five years, but ten, 20-years. Egypt is a good example. A quarter of the economy, more, comes from tourism, and we have done very well out of the country in the past. We are not fair weather partners, so we have not pulled out of Egypt. We continued and have not cancelled anything. You cannot just walk away. So many livelihoods depend on it and these people have been very supportive of us in the past. It would be easy for us to redeploy, but we have not done that. BTN: You yourself were appointed two years ago, when Uniworld established a permanent presence in the UK. What were the motivations for this move? KB: The privately owned Travel Corporation, owned by the Tollman family, saw an opportunity here to develop the brand. We have been very successful in America, Canada and Australia, the English speaking markets, so it was clear there was an opportunity here. River cruising is growing at such a rapid rate and we are part of that. I think over the next ten years it will be phenomenal. One of the things I hear all the time with this industry, is that there are a lot of people who would to try it, but they need to meet an advocate or an ambassador, somebody who has done it. We see that as soon as somebody has done it, they are hooked. At the same time, there is a perception that it is ‘God’s waiting room’ – but it is not like that, not at all. As we overcome this, it will grow rapidly. Cruising in general will continue to grow – and any promotion, no matter who does it, we all benefit. If you can tell the story, get that out there, then people are hooked. 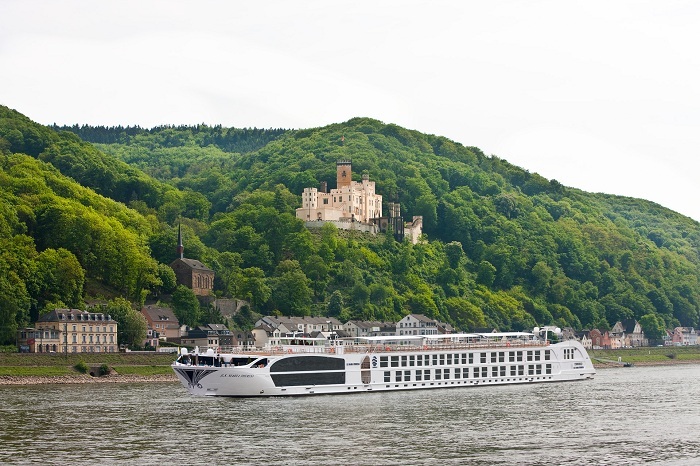 BTN: What is next for river cruising? KB: We do need to be careful, however. River cruise companies are all lumped in together, and we are quite different to a lot of our competitors. That is why we have focused on selling through agents: we need to get the story to customers. The next stage for river cruising will be to focus on that difference. BTN: Ellen Bettridge, who was appointed chief executive of Uniworld earlier this year, will have her role to play in this? She has been with us for four months and she has a very clear plan for us. We have perhaps been underselling ourselves and she was us to really emphasise our points of difference, showcase the positives. The style of how we present ourselves will change as well. It will be a much less formal approach. On board, people certainly do not have to put on black tie or a tiara to come to dinner, it is quite informal, and our sales will begin to reflect this. We are top end – but we are trying to use imagery that shows what it is really like on board. It is an exciting time for us and for the industry.